Dentistry From The Heart (DFTH), a non- profit organization, is the largest dental charity in North America dedicated to spreading free smiles across the globe. 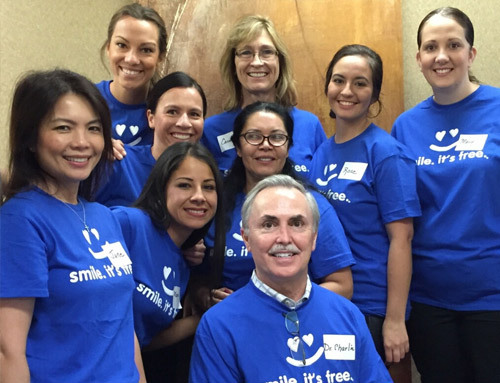 Dr. Charles Briscoe and his team of volunteers included La Jolla Oral Surgeon, Dr. Robert Gramins, Dr. Sue Gao, Dr. Brent Gorrel, Dr. John Vellequette, and four hygienists. Dr. Charles Briscoe, his staff and patients donated massive amounts of candy to be sent along in “Care Packages” to the brave service men and women and their families. 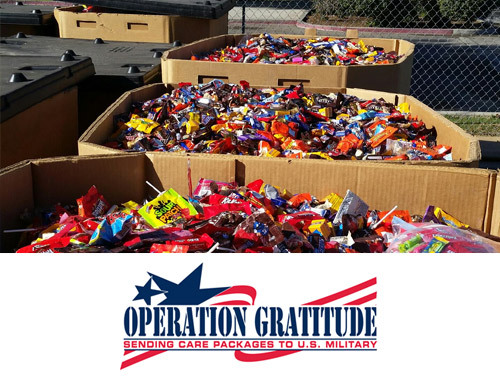 Operation Gratitude annually sends 150,000+ care packages filled with snacks, entertainment, hygiene and hand-made items, plus personal letters of appreciation, to New Recruits, Veterans, First Responders, Wounded Warriors, Care Givers and to individually named U.S. Service Members deployed overseas.